ISO 9004:2018 gives guidelines for enhancing an organization's ability to achieve sustained success. 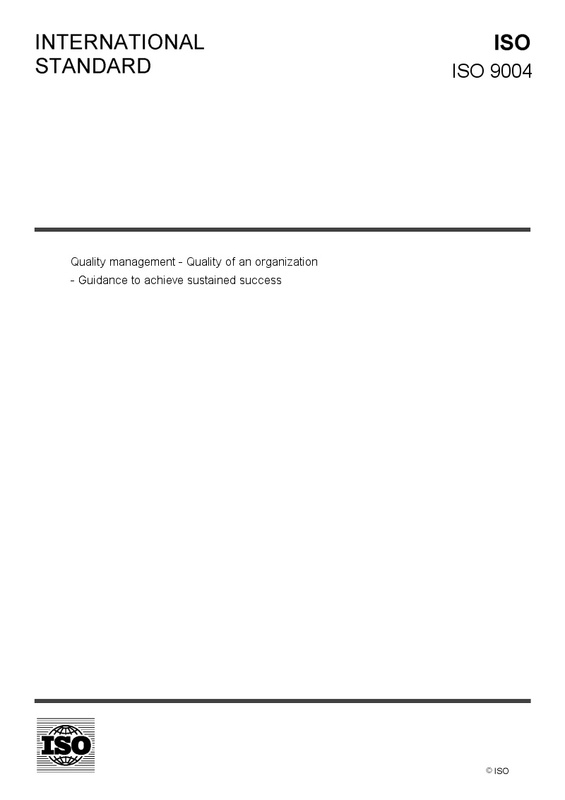 This guidance is consistent with the quality management principles given in ISO 9000:2015. ISO 9004:2018 provides a self-assessment tool to review the extent to which the organization has adopted the concepts in this document. ISO 9004:2018 is applicable to any organization, regardless of its size, type and activity.